Brown male dog about 60 lbs. 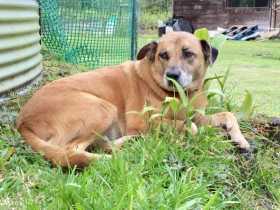 He went missing with his brother, Papa'a, also a brown male dog, but about 45 lbs. He is chipped.